A roadtrip and the comforts of home. | there's no place like gnome. A roadtrip and the comforts of home. The control of the tv remote. A kitchen to cook in. The coffee beans I prefer. It’s funny how a week away makes you appreciate those little comforts of home all the more. I’m excited and I look forward to vacation … but at the end, coming home again is its own kind of (lame) excitement. Austin to Edgerton. Depart after work. Hi, Mom. Night one. Edgerton to Indianapolis. Hi, sister Emma (who goes to grad school there). Let’s eat pizza for a late lunch while the car tires get balanced. Indianapolis to Asheville, NC. Rain. Late night of mountain driving. Tunnels! Hotel. Night two. Asheville to Winston Salem. Nights three, four, and five with Dave’s brother and his family. Daytime exploring in Charlotte: Billy Graham library & NC Aviation Museum. Coloring and playing trains with Dave’s niece and nephew. Lots of coloring and trains. 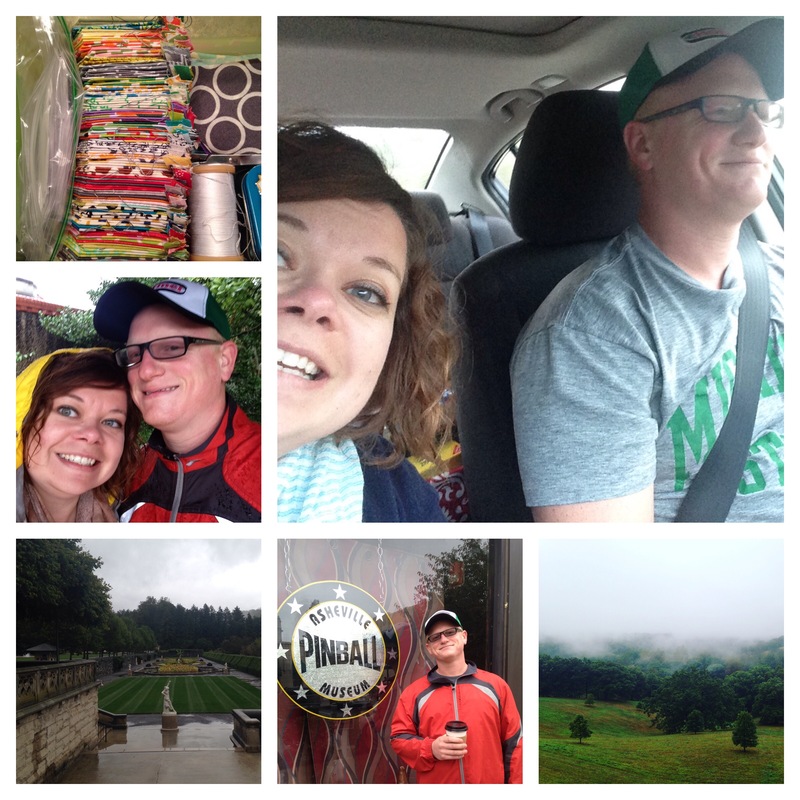 Winston Salem to Pittsburgh. More pinball excursions. Eat supper in a church-turned-brewery-restaurant. Night six. Pittsburgh to Michigan. Visit Pink Castle Fabrics in Ann Arbor (one of the few modern quilt shops in existence). See Dave’s childhood home, feed carrots to donkeys, and eat supper with Dave’s parents. Night seven spent on an air mattress at the apartment of Dave’s childhood friend. Last day: early morning departure (Dave had ants in his pants which led to a 5am packing of car and leaving. I slept in the passenger seat. ), survival of Chicago traffic, and safe arrival home to MN. It’s now back to life as we know it, appreciating a little more the comforts of home. And hitting the ground running at work as church is a busy, busy place these days. Here’s hoping the time away restored me enough through rest and relaxing to get me through the next weeks! You were in Asheville!? That is an hour from us!